Don’t miss this original smoky Quartz loose gemstone for sale,totally untreated it was earth mined in Brazil. 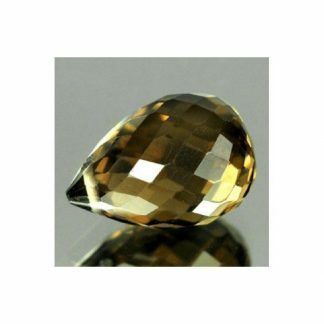 This beautiful gemstones present a well proportioned drilled briolette faceted cut with good size and polish. 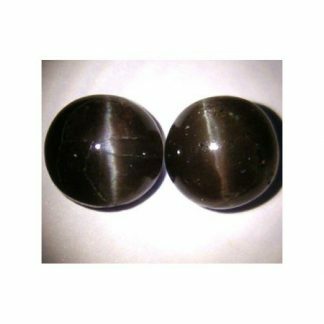 This genuine smoky Quartz is completely natural and untreated perfect for its metaphysical properties or to be used in jewelry. 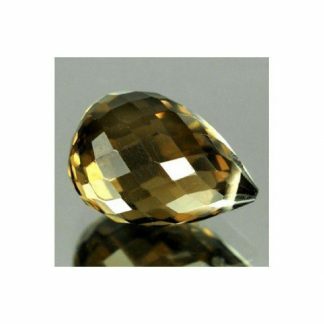 It present a deep cognac brown color hue with some tint of orange, dark tone and strong saturation, this attractive gemstones has a nice transparent eye clean clarity without visible inclusions into the crystal. 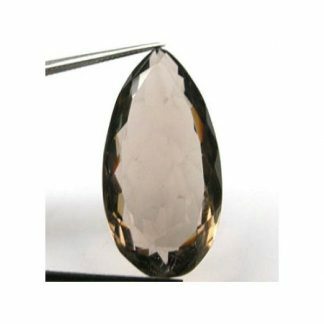 Smoky quartz like other gemstones from the quartz mineral family has an hardness of 7 on the Mohs mineral scale and is suitable to be set into elegant jewels like bracelet, necklace, ring or pendant. Dimensions: 10.7 X 7.5 X 7.5 mm.